The Pigeon Forge Greenway System includes over 6 miles of trails that take patrons along the beautiful West Prong of the Little Pigeon River, around Patriot Park, around the old City Park behind the Pigeon Forge Community Center and throughout Wear Farm Park. There is also a section of Greenway following Veterans Blvd connecting with the Sevierville Greenway System at Center View Rd and ending at Goldrush Rd across the street from Dollywood’s Theme Park, Splash Country and DreamMore Resort. The beautiful Riverwalk Greenway follows the West Prong of the Little Pigeon River and includes over 4 miles of trails. The Riverwalk Greenway takes cyclists and walkers 1 mile around the old City Park loop behind the Pigeon Forge Community Center, travels along the river for 1 mile through the Island in Pigeon Forge, and then travels behind the LeConte Convention Center and along Butler St for 1.5 miles where it connects to the ½ mile trail at Patriot Park. The Greenway at Wear Farm includes over a mile of trails that includes a ¼ mile loop around the playgrounds and a ¾ mile loop around the baseball complex. It is a great place to walk your dog or get some exercise while the kids play! 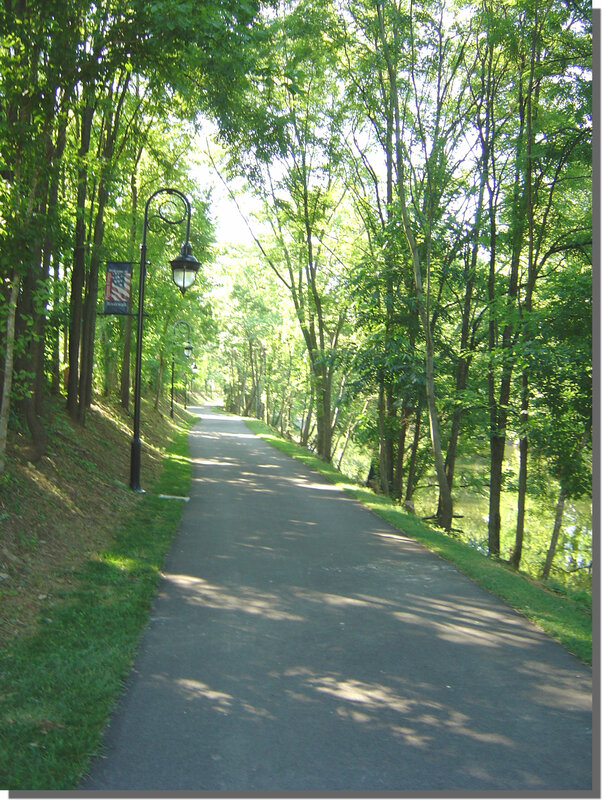 As a connector to the Sevierville Greenway System, the Veterans Greenway begins at Goldrush Road across the street from Dollywood’s DreamMore Resort, and follows along Veterans Blvd for 1.1 miles until it connects with the Sevierville Greenway at Center View Drive. The Plaza @ Butler and Ashley is a small community park with a memorial to one of the past City's Commissioners. With benches and a water fountain, it is also a great place to take a break during your run, walk, or ride.